Combine The Best Qualities Of A Grill With The Best Qualities Of A Toaster Oven! 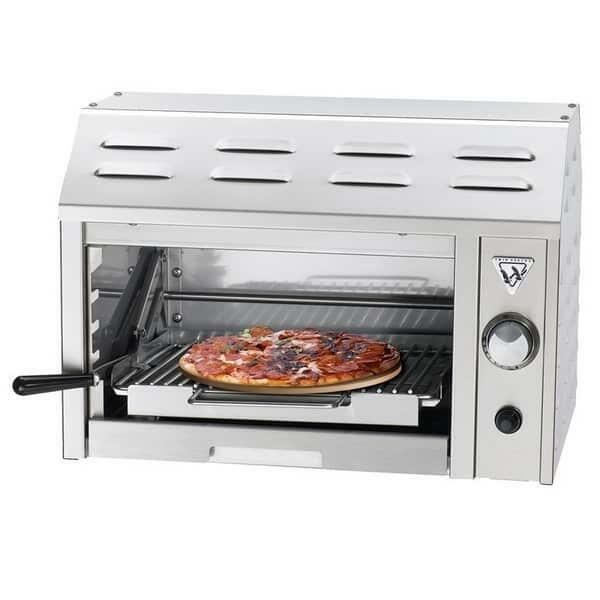 Combine the best features of an indoor toaster oven with best features of an outdoor gas grill with the Salamangrill with Base from Twin Eagles. This innovative cooking source generates 1,700 degrees of heat within 90 seconds! The grill master of the family will be able to flash cook pizzas in four minutes, steaks and fish in six minutes and chickens in less than eight minutes. 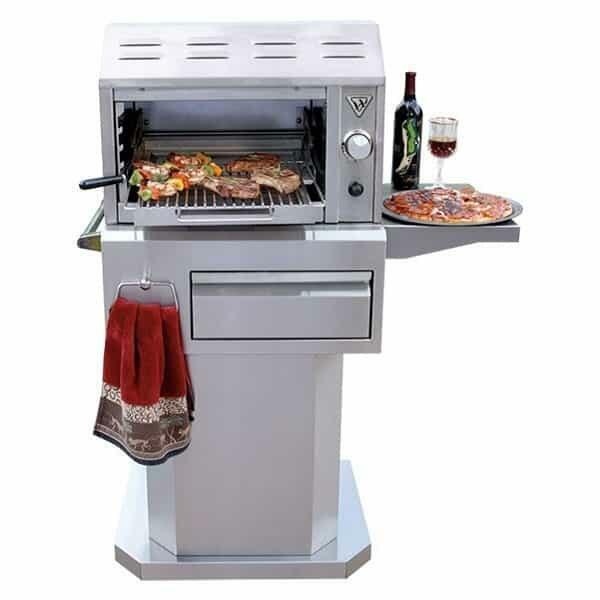 The brilliance of this outdoor grill model lies in the design; it features a cooking grate underneath an infrared gas burner which rolls in and out like a toaster oven tray! A miracle in the grill industry, we challenge any homeowner to find a more inventive and original item! Picture the perfect pizzas rapidly rolling out of your outdoor kitchen (it comes with a pizza stone), leaving awestruck guests wondering how it was accomplished so quickly! So add a groundbreaking grill to the outdoor patio lineup with the patented Salamangrill with Base from Twin Eagles and Family Leisure!